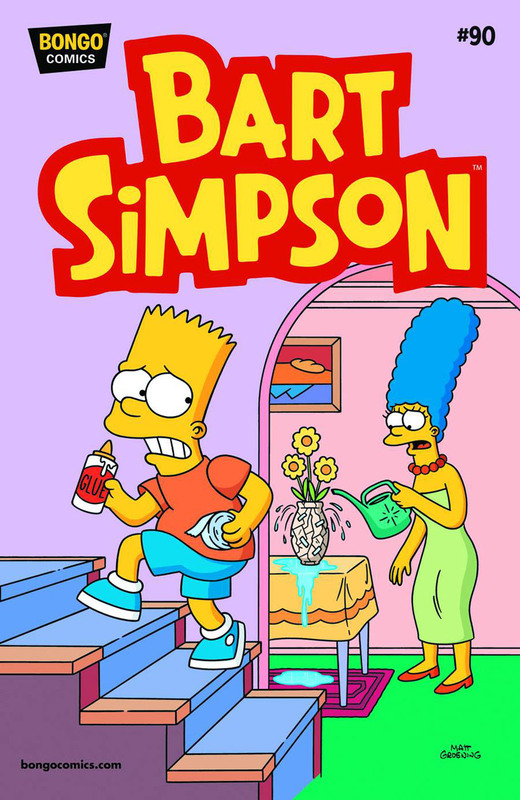 Bart Simpson #90 is the ninety issue of Bart Simpson Comics it was released on May 28, 2014. "Bart and Lisa discover that Springfield's uber-sad sack, Hans Moleman, may not be who they think he is in "The Curious Case of Hans Moleman." Then the Simpsons of Springfield meet their doppelgangers, the Simpkins from Capital City, and it's worse than they ever expected." Modified on July 24, 2017, at 16:53.